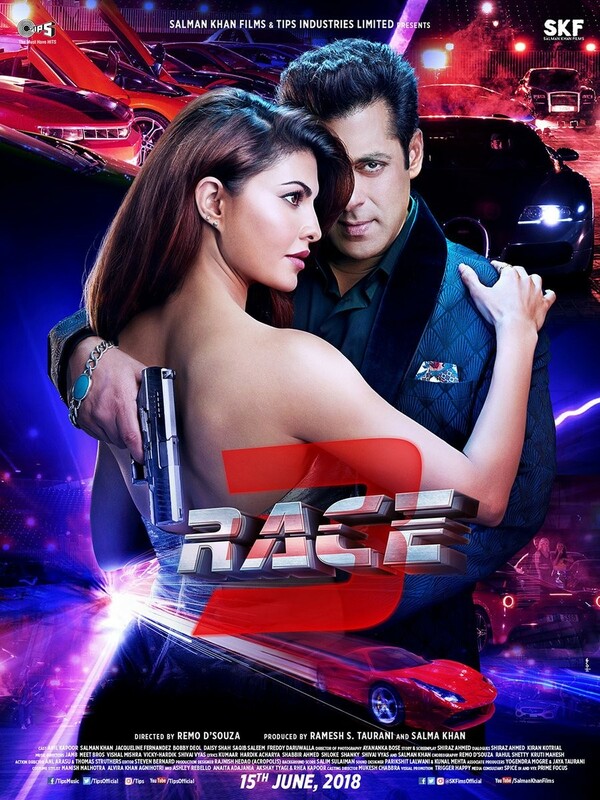 Salman Khan, Jacqueline Fernandez's Race 3 movie poster. Salman Khan, Jacqueline Fernandez, Anil Kapoor and Bobby Deol's Race 3 movie poster. Anil Kapoor as Shamsher: Bhaiji Humre boss. Saqib Saleem as Rana in Race 3. Suraj: the angry young man. Sizzling Daisy Shah waiting to explode. After introducing Sikander and Jessica, Salman Khan has now introduced the Main Man Yash aka Bobby Deol from the Race 3 family. Meet Jessica: Race 3 new poster featuring Jacqueline Fernandez. Meet Sikander aka Salman Khan in this all-new poster of Race 3. The motion picture features the logo action franchise, preceding which the words 'On your marks, Get set, Ready, Go!' feature setting off the thrill. 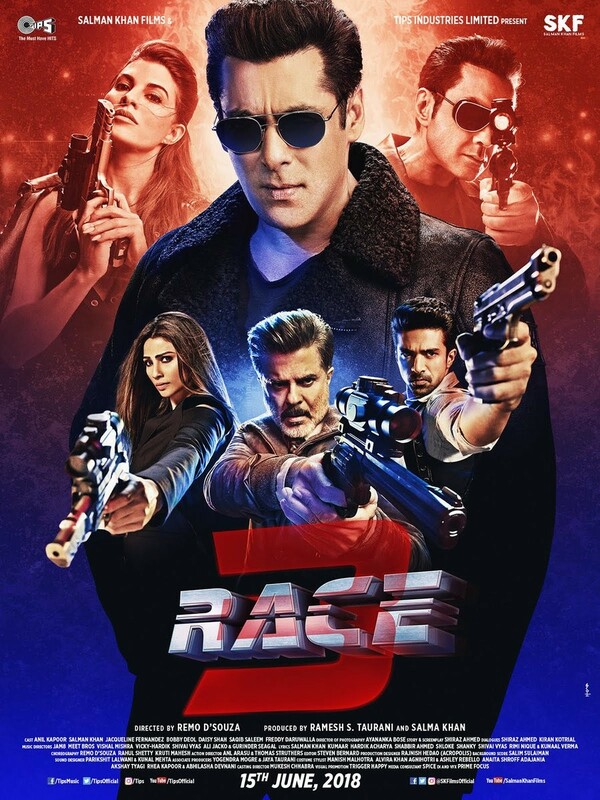 Race 3 will be taking the action and thrill a notch higher in the third franchise. The logo too is edgier and promises an action bonanza this Eid.